Attention deficit hyperactivity disorder (ADHD) is a neurodevelopmental disorder. This means there are deficits in the ADHD brain that affect a child’s development. ADHD does not influence intelligence. It does, however, affect a person's ability to regulate attention and emotions, and it results in hyperactivity and impulsivity as well as organization problems. ADHD is a condition that comes under a lot of scrutiny. Naysayers question if it is real or say it is caused by lack of motivation, willpower, or bad parenting—none of which is true. However, if you or your child has ADHD, you can feel vulnerable to these comments. Knowing that there are biological differences in the ADHD brain—compared to a brain of a person who does not have ADHD—feels validating. The difference can be divided into three areas: structure, function, and chemistry. For many years, research showed there were clear structural differences in the ADHD brain. The largest review ever of ADHD patient brain scans was carried out at Radboud University Nijmegen Medical Centre. Researchers reported that people with ADHD had smaller brain volume in five subcortical areas, and their total brain size was smaller, too. These differences were greater in children and less in adults. This finding is in line with our previous understanding that parts of the ADHD brain mature at a slower pace (approximately one to three years) and never reach the maturity of a person who does not have ADHD. 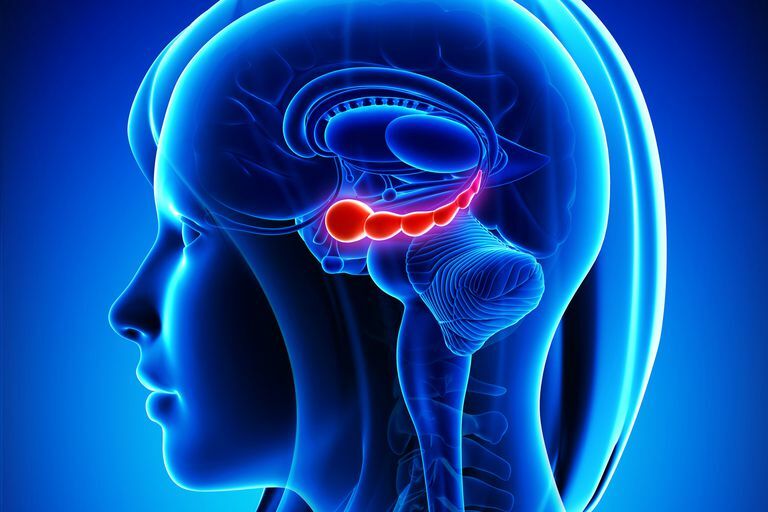 Another interesting finding was that the amygdala and hippocampus are smaller in the brains of people with ADHD. These areas are responsible for emotional processing and impulsivity and had previously not been definitively connected to ADHD. There are several types of brain imaging techniques such as single-photon emission computer tomography (SPECT), positron emission tomography (PET), and functional magnetic resonance imaging (fMRI) that allow researchers to study how the ADHD brain operates and functions. There are alterations in blood flow to various areas of the brains in people with ADHD compared to people who do not have ADHD. Including decreased blood flow to certain prefrontal areas. Decreased blood flow indicates decreased brain activity. The prefrontal area of the brain houses the executive functions and they are responsible for many tasks including planning, organizing, paying attention, remembering, and emotional reactions. One study found that children with ADHD do not have the same connections between the frontal cortex of the brain and visual processing area. This means that the ADHD brain processes information differently than a non-ADHD brain. The brain is a busy communication network where messages are relayed from one neuron (brain cell) to the next. There is a gap between neurons, which is called a synapse. In order for the message to be passed along, the synapse needs to be filled with a neurotransmitter. Neurotransmitters are chemical messengers, and each one is responsible for different functions. The key neurotransmitters for ADHD are dopamine and noradrenaline. In the ADHD brain, there is dysregulation of the dopamine system. For example, there is either too little dopamine, not enough receptors for it, or the dopamine is not being used efficiently. Stimulant medications help ADHD because they encourage more dopamine to be produced or keep dopamine in the synapses longer. Why Isn't ADHD Diagnosed With a Brain Scan? At the moment there is not an objective test to diagnose ADHD. Instead, a detailed evaluation is carried out by a clinician. It includes an in-depth interview with the patient, a review of school reports and medical history, and possibly tests to measure attention, distractibility, and memory. With that information, the clinician can determine if the diagnostic guideline for ADHD set by the Diagnostic and Statistical Manual of Mental Disorders (DSM) is met. As Dr. Thomas E. Brown explains in his book "A New Understanding of ADHD in Children and Adults: Executive Function Impairments," tests such as PET and fMRI scans give an insight into how the brain is functioning at the moment the test was performed. Like a photo, they capture one moment in time. However, they do not take into account how the brain operates in different situations, in the way a clinical test can during a detailed interview. In addition, the scan data that has been studied is generally based on group averages, and may not apply to any particular individual. And results have not been normed, which is when large quantities of data are gathered and compared so that criteria for an ADHD diagnosis using scans could be more reliably made. Berger, I, O. Slobodin, M. Aboud, J Melamed and H.Cassuto 2013. Maturational Delay in ADHD: Evidence from CPT. Frontiers of Human Neuroscience. Hoogman, M. et. al. Subcortical Brain Volume Differences in Participants with Attention Deficit Hyperactivity Disorder in Children and Adults: A Cross-Sectional Mega-Analysis. The Lancet Psychiatry, 2017. Mazaheri, A., S. Coffery-Corina, G.R. Mangun, E. M Bekker, A. S. Berry, and B.A Corbett. 2010. Functional Disconnection of Frontal Cortex and Visual Cortex in Attention-Deficit/Hyperactivity Disorder. Biological Psychiatry 67(7):617-623.